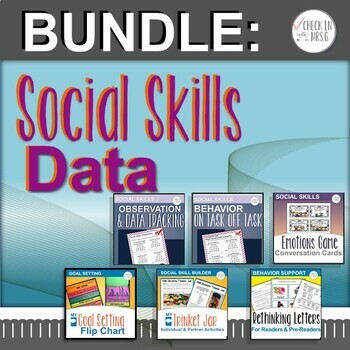 This is a bundle of my social skills data collection forms and two social skills activities!!! I have often had students work together on these two activities while I observe and collect data using the included forms. Please click on the links below to see previews of each individual product included in this discounted bundle!